Aglow is your source for elegant and modern event and wedding decor in the B.C. Interior. 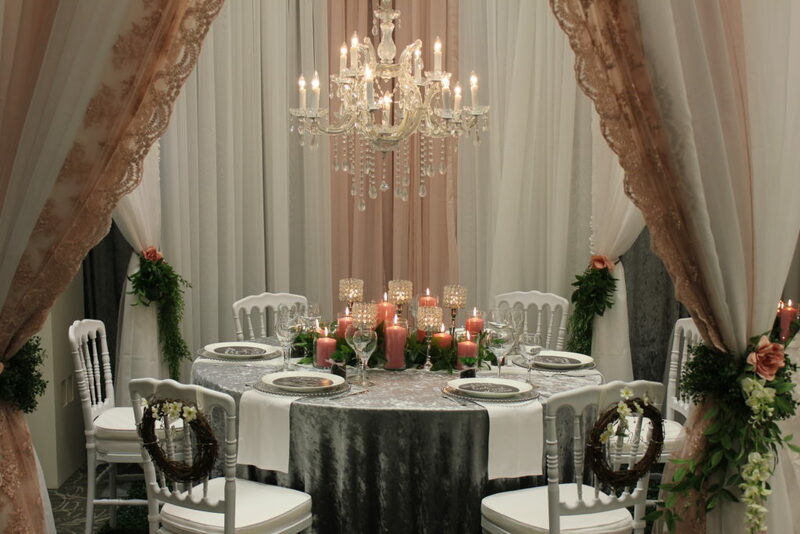 Aglow carries a large inventory of specialty table and chair linens, glamorous decor items and provides specialized ceiling draping installations and setup and take-down services. Aglow Wedding Decor and Event Rentals is your number one choice for wedding and event decor throughout the B.C. Interior. View “our work”. Do you want to have the most popular entertainment at your wedding or event? We strive to provide our clients with the highest quality products and services. Our state-of-the-art photo booths offer a modern sleek design, unique LED features, social networking and hours of entertainment for you and your guests. Aglow Wedding Events & Decor Rentals offer discounted booth rates to those who also book wedding or event decor with us. These same discounts are also available to schools, charities and businesses! Check out our photo booths that will create lasting memories at any event.